Quantum networks will be essential for data protection in the future. Quantum theory predicts entanglement; that huge numbers of atoms can be intertwined due to quantum forces, across distances, or inside macroscopic structures. However, “predicts” has been the key phrase up until recently — as actual hard evidence from experiments has been lacking. Experimental evidence was just presented by University of Geneva scientists, who demonstrated the entanglement of 16 million atoms in a one-centimeter crystal. Therefore, Fröwis and his team took inventory of which measurements they were able to take, and of those, which might be able to generate the evidence they were searching for. They settled on the single direction of light re-emitted by the crystal, and analyzed its statistical properties. This was how the the team was able to show the entanglement of 16 million atoms, rather than a few thousand. Quantum networks will be essential to data protection in the future, because they make it possible to send a signal and detect any interception of that signal by a third part immediately. To send and receive these kinds of signals, you need quantum repeaters which can unify entangled atoms with a strong quantum relationship despite being separated by great distances. These quantum repeaters house crystal blocks supercooled to 270 degrees below zero and enriched with rare earth atoms. Once these blocks are penetrated by a photon, entanglement is created. Particle entanglement is at the heart of the coming revolutions in quantum computing and quantum encryption, which will themselves be driving everything from artificial intelligence to personalized medicine. 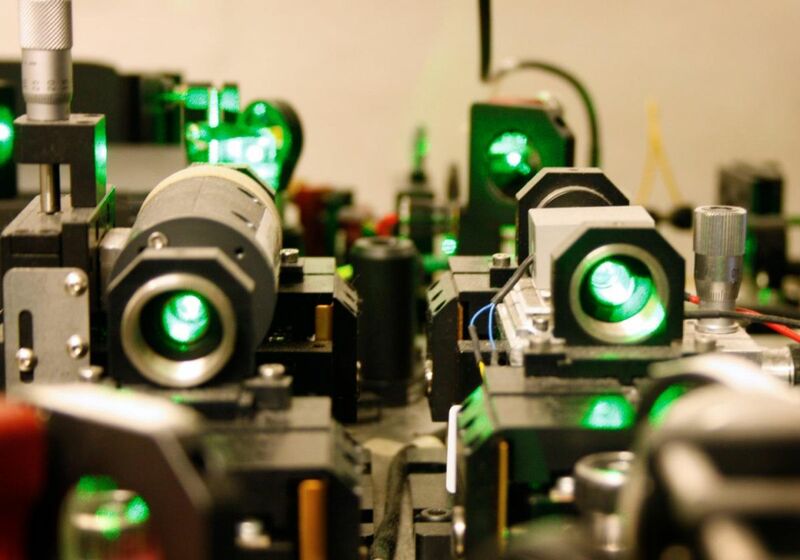 And while this is high-level stuff, it all depends on the entanglement of atoms at the quantum level, which this research has demonstrated on an unprecedented scale.